Become an SOS Borneo partner for just £5 a month. Your support will help us protect and replant Borneo's rainforests and the last remaining wild orangutan populations. As a partner, you will receive receive our newsletter with updates from Borneo. Borneo's rainforest is experiencing rapid deforestation due to human activities - and we must act now before it is too late to save the rainforest and its unique biodiversity. Approximately 50 percent of the Bornean rainforest has been cleared over the course of the last century, and nearly 80 percent of the forests that inhabit the wild Bornean orangutans have been degraded. In the last decade alone, a rainforest area equivalent to half the size of England has been cleared. Save the Orangutan needs your support in our efforts to protect the rainforest and the orangutan's last habitats. As an SOS Borneo partner, you will support our work to stop the deforestation and to protect, conserve, restore, and replant the Bornean rainforests. 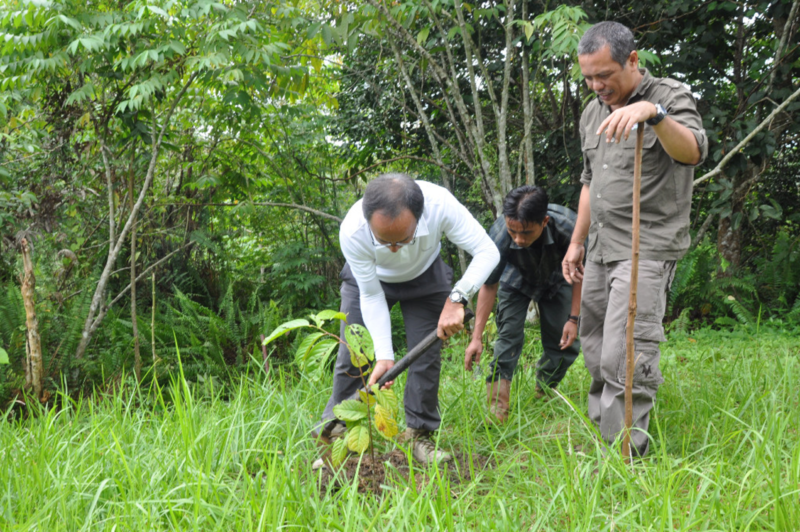 Save the Orangutan is working together with three villages in an area named Rantau Upak, to replant 100 hectares of rainforest. 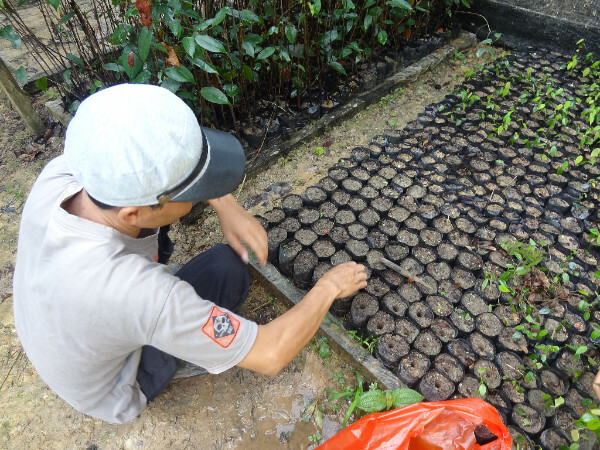 The local people has gathered indigenous treeseedlings that are suited for orangutans and that they grow in nurseries established for this project.